Welcome to No. 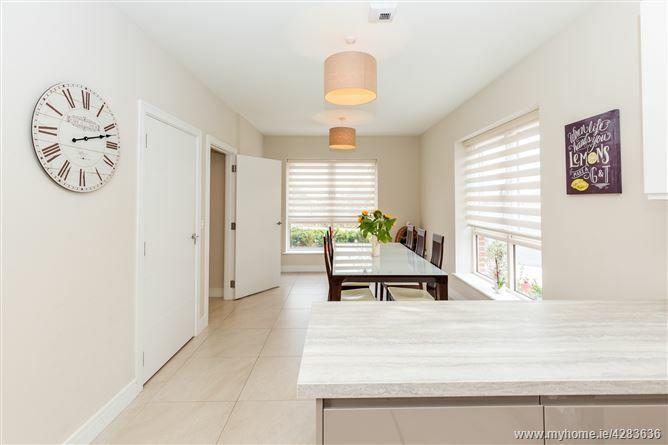 30 Parkside Boulevard a very impressive red brick fronted 4 / 5 bedroom family home. 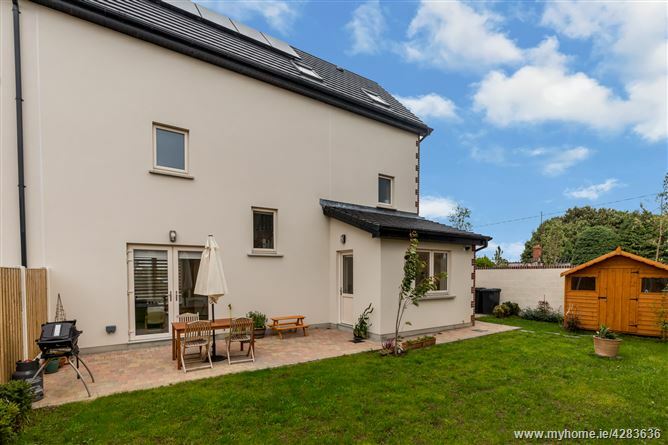 Built in 2017 the house is less than a year old, is “A” rated, measures a very spacious 157 sq meters / 1,689 sq feet, is set over 3 floors and has the added advantage of a sunny south facing rear garden. 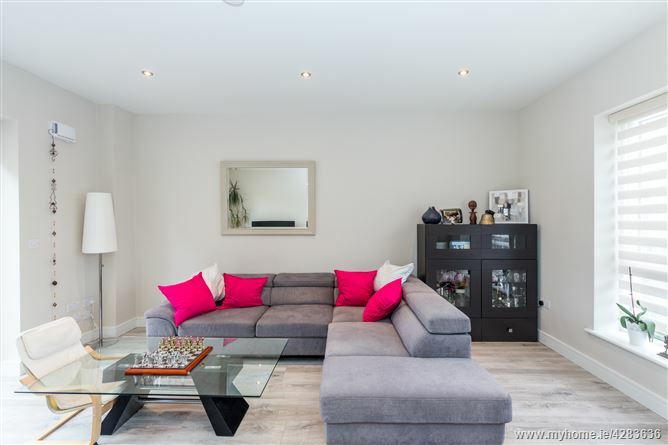 This beautifully maintained property comprises of an entrance hall complete with guest w.c, lounge, kitchen / dining area and utility room on ground floor level. 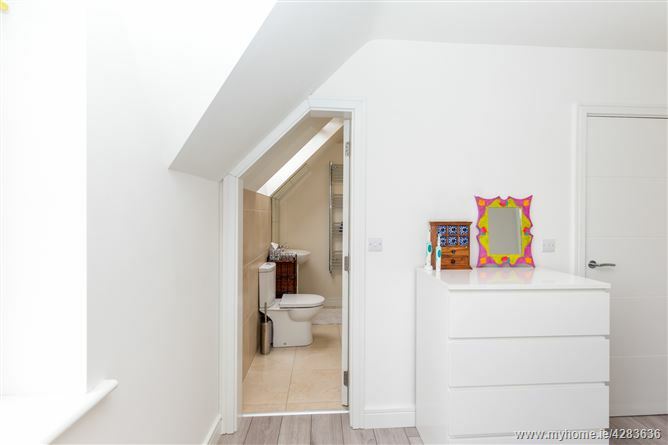 First floor comprises of 3 bedrooms, a family bathroom and en-suite in bedroom two. The 2nd floor comprises of master bedroom with inter linking en-suite, office and a store room / 5th bedroom. 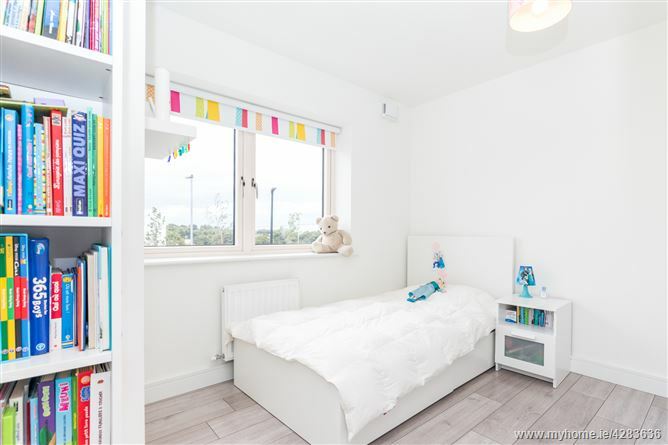 Features including: PVC double glazed windows, gas fired radiator central heating and burglar alarm system. 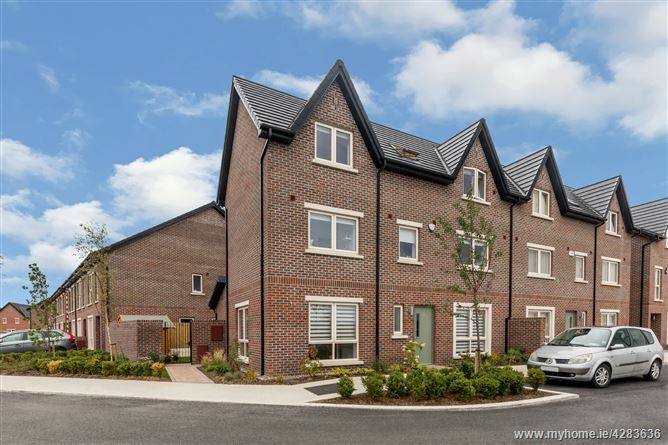 Ideally located just off the Malahide Road, Parkside is within walking distance of shops, schools, Father Collins Park with its 53 acres of public parkland, commuter bus links and Clongriffin Dart station which provides easy access to Dublin City Centre. Viewing comes highly recommended. 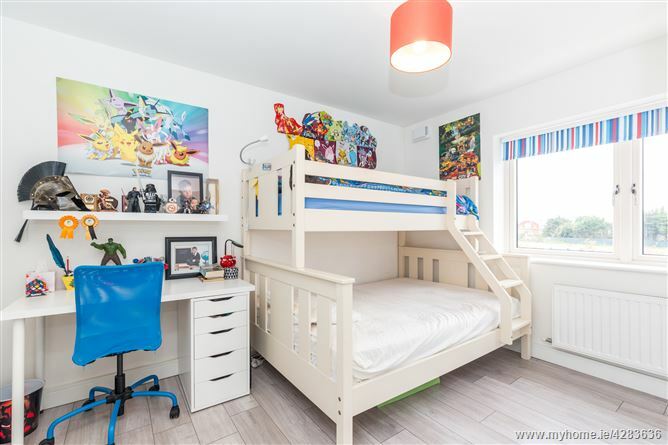 Close to schools, shops & public transport. 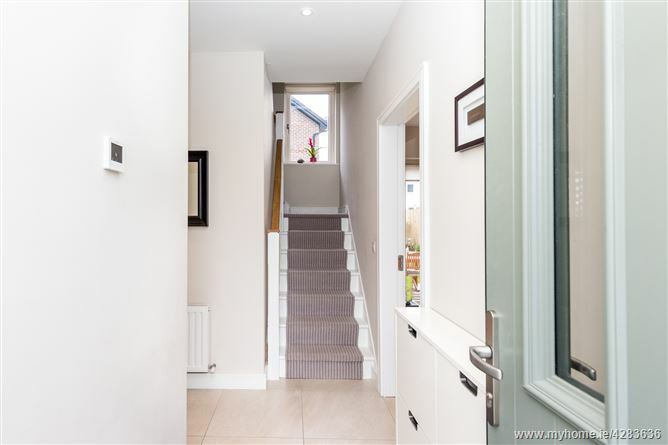 Entrance Hall: 5.02m x 2.80m with tiled floor and recess lighting. Guest w.c. & w.h.b. 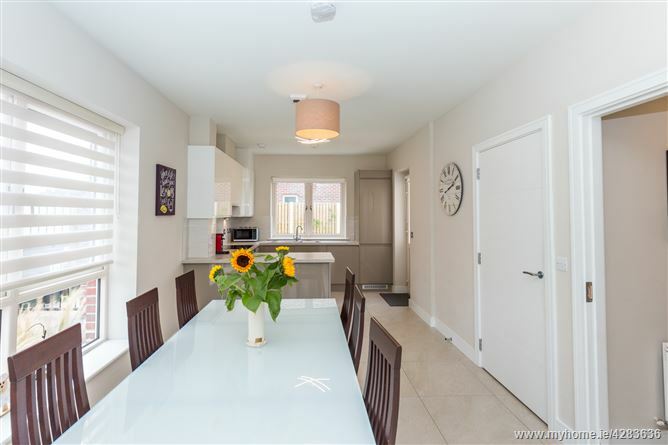 1.43m x 1.57m with tiled floor and heated towel rail. 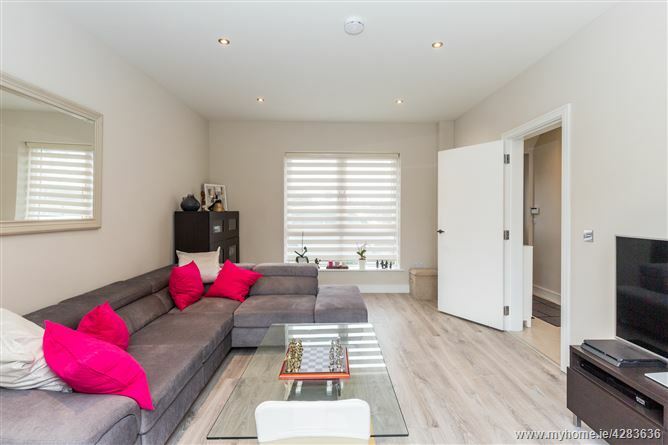 Lounge: 4.97m x 3.75m with laminate flooring. Recess lighting and TV Point. 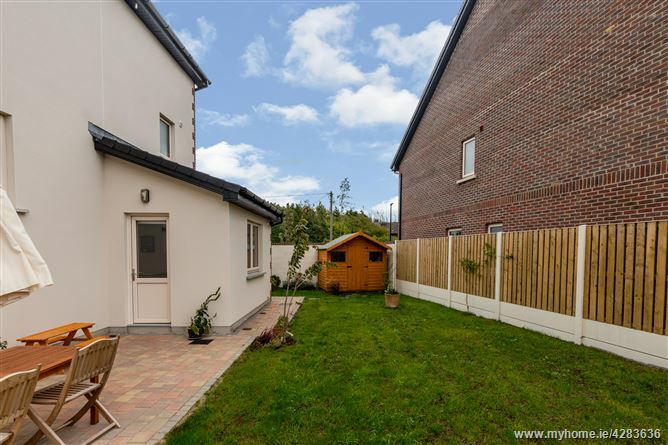 French doors lead to rear garden. 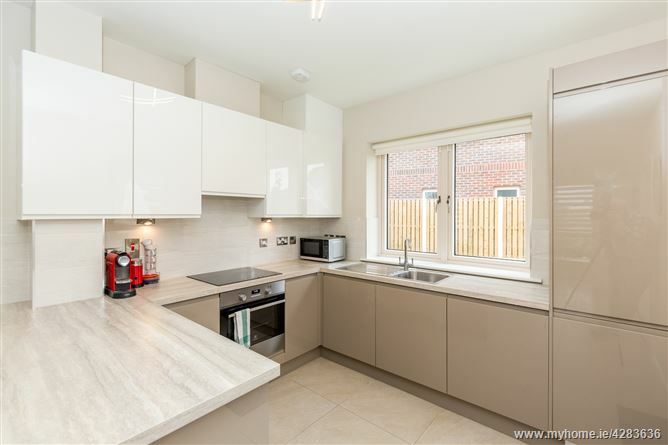 Kitchen/Dining Room: 7.36m x 3.11m with range of stylish high gloss fitted press units. Tiled floor. Tiled behind worktops. Integrated fridge freezer and dishwasher. Access to rear garden. Utility Room: 2.24m x 1.17m with tiled floor and plumbed for washing machine. Additional storage shelving and press units have been fitted. 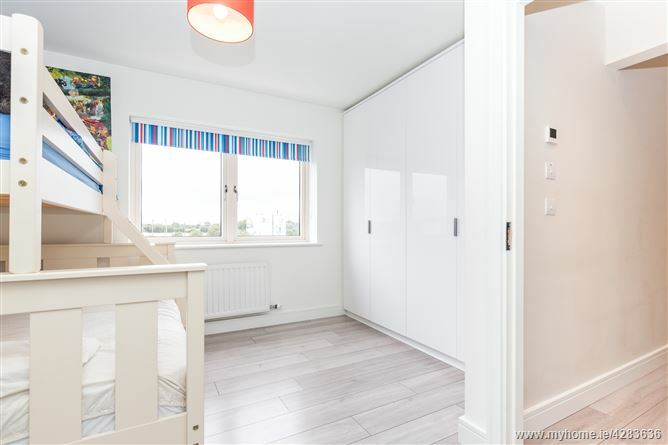 Bedroom 1: 3.56m x 3.23m with built in wardrobes and laminate flooring. 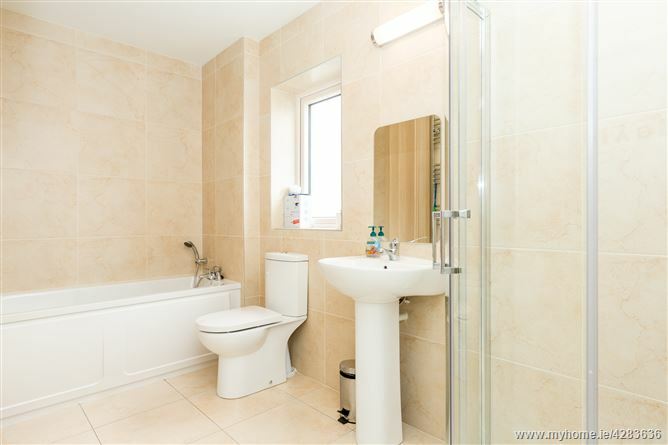 Ensuite: 1.32m x 2.59m comprising of double shower tray, w.h.b and w.c. Tiled floor & part tiled walls. 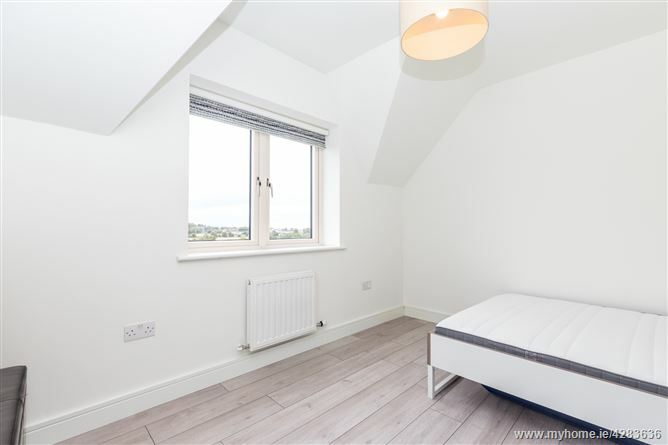 Bedroom 2: 2.51m x 3.34m with built in wardrobes and laminate flooring. 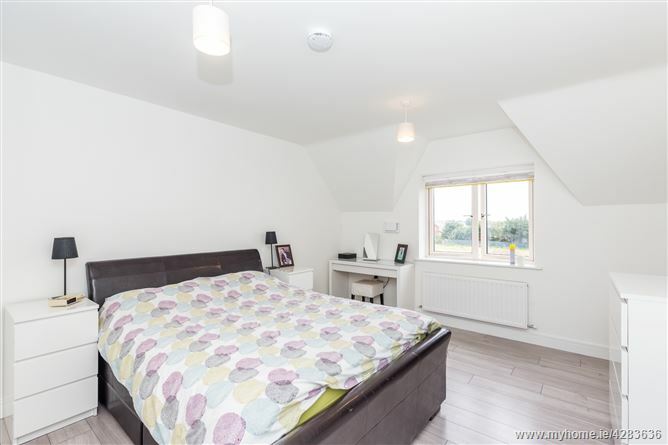 Bedroom 3: 2.24m x 2.67m with built in wardrobes and laminate flooring. 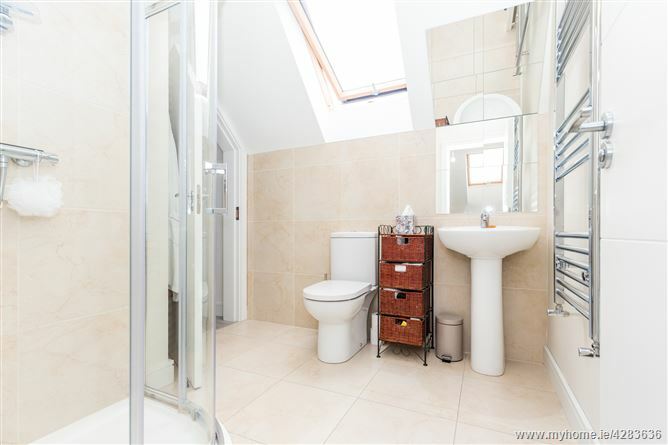 Bathroom: 1.81m x 3.62m comprising of bath, shower, w.h.b., w.c., Tiled floor and part tiled walls. Heated towel rail. 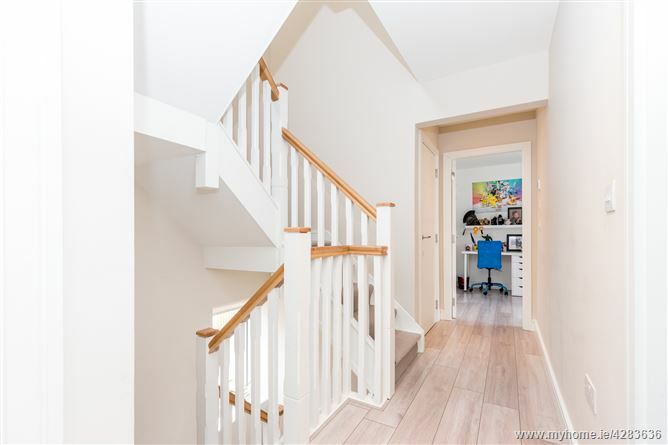 Landing: 2.80m x 3.86m (At widest point) with laminate flooring. Storage Room / Bedroom 5: 3.16 x 3.63 with laminate flooring. Office: 1.72m x 3.62m with laminate flooring.